Broods announce NZ 2019 tour dates. 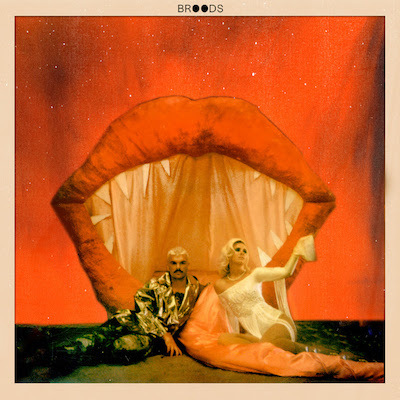 Ahead of the release of their new album ‘Don’t Feed The Pop Monster’ (out on February 1st), Broods have announced two live New Zealand tour dates - the first at Christchurch’s Town Hall on Friday, March 22nd, and the second at Auckland’s Town Hall on Sunday, March 24th. Tickets go on sale on Tuesday, January 29th at 12pm. MusicA Broods x 'Don’t Feed The Pop Monster' appreciation post. MusicMust-listen: Broods' new song 'Peach'. MusicBroods - 'Heartlines' music video. MusicMust-listen: Broods' new song, 'Four Walls'. MusicBroods - 'Four Walls' live on Conan. MusicBroods - 'Conscious' album review.